Manchester United vs PSG predictions for Tuesday’s Champions League tie at Old Trafford. Manchester United hope to extend their unbeaten run in their biggest challenge yet – A Champions League knockout tie with PSG. Read on for all our free predictions and betting tips. 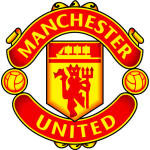 Ole Gunnar Solskjaer may have proven to be a revelation at Old Trafford since taking over from Jose Mourinho on a temporary basis in December, but this will be the Norwegian’s biggest test yet. 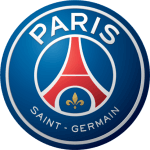 They face Ligue 1 champions PSG in the Champions League knockout stages, and a positive result at Old Trafford on Tuesday would be a huge boost to their chances. The Red Devils are unbeaten since Solskjaer’s arrival, winning all but 1 of their 11 competitive matches and only faltering in a surprise 2-2 draw against Burnley at the end of January. They have since bounced back from that stutter with victories over Leicester and Fulham, pushing them into the top 4 of the Premier League against all the odds. PSG might be a huge test of their abilities, but it’s not like Manchester United have had it all easy recently. They have picked up massive wins away to both Tottenham and Arsenal, so they have had some big game success since Solskjaer’s arrival. PSG may be flying clear at the top of Ligue 1, but they have had a few difficulties recently. They succumbed to their first league defeat of the season earlier this month away to Lyon, and French minnows Villefranche shockingly managed to take them to extra time in the Coupe de France. To make matters worse, Edison Cavani picked up an injury in their 1-0 win over Bordeaux at the weekend and is a major doubt for this game. With Neymar already on the sidelines PSG’s attacking threat could be significantly reduced on Tuesday. Still, with Kylian Mbappe on their roster Les Parisiens are still a force to be reckoned with, and we’re still expecting this to be an entertaining clash. PSG scored a Champions League high 17 goals in the group stages this season and saw a total of 26 goals in these 6 matches. Manchester United, for all their improvement, are still very shaky at the back. They were lucky to keep Leicester out last weekend and have conceded in 6 of their last 11 competitive matches. The result has been a fair few high scoring matches, with 7 of them ending with at least 3 goals being scored. 6 of their last 7 home outings have seen 3 or more goals too, so PSG know they are in with a shout. The visitors, meanwhile, have seen 3 or more goals in 7 of their last 9 competitive away days. They have also seen more than 2 goals scored in a ridiculous 20 of their last 21 Champions League outings, so backing Over 2.5 Goals on Tuesday looks a great choice alongside a 2-2 correct score prediction. We’re also backing the in form Marcus Rashford to find the net for the hosts. The young Englishman has scored in 6 matches since Solskjaer took charge, and he only came off the bench in their 2 FA Cup ties as well, so he looks a fantastic choice for our anytime goalscorer prediction.